The Bath Spa MA in Writing for Young People has been a great success, with many distinctive published writers emerging over the last ten years: Sally Nicholls, Elen Caldecott, Marie-Louise Jensen, Gill Lewis, Sam Gayton, Sheila Rance, Emma Carroll, to name a few. The course has helped to shape the landscape of emerging British writers for children's fiction from YA to picture book. 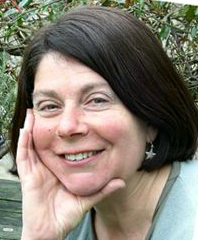 In an interview with course director Julia Green, Eden Endfield discusses Julia's role in shaping the course and asks her how she balances her writing with the demands of being a distinguished educator in the field of children's writing. When and how did the MAWYP start, what were its aims, how was it tailored to be specific for children's writers? The MA in Writing for Young People began in 2004. It was created as a ‘sister’ course to the well-established MA Creative Writing: we had five published children’s authors on the staff team, and we knew there was a lot of interest from students. We already had a strong undergraduate module in writing for young people. There are some very specific considerations for writers for young people, and that’s what the new MA addressed: issues of audience, language register, emotional content, for example, and the responsibilities we have towards young readers. We designed a very practical, specialist course, and included a module about the children’s publishing industry. We had advisors from the industry as well as the academic world. … four of our recent alumni are on the 2014 Branford Boase longlist for debut novelists. The first intake was 8 enthusiastic students. This year we have 30 students, and four of our recent alumni are on the 2014 Branford Boase longlist for debut novelists. Tutors currently include Steve Voake and international award-winning Lucy Christopher; our professor is David Almond. Our strong team of tutors who are also published authors is key to the success of the course. Rigorous, supportive workshops are at the heart of the MA, and students also benefit from 1: 1 support and advice from their manuscript supervisor. We stress the importance of reading as a writer. Visiting speakers (agents, editors, authors) provide further input. We update content annually. How have you influenced the course? I’ve been involved in everything, from the initial planning committee through all the subsequent developments. I brought in the two-year part-time option, seeing that this was an excellent method of study for people juggling work and family as well as writing. We care about our students and work very hard to help them write the best book they can. Many stay in contact with us. We’ve created a ‘family’ of writers in Bath and beyond. Our involvement with the Bath Festival of Children’s Literature has consolidated that sense of a writing community. What is teachable in writing? As one reviewer has said, you are well known for your ‘down to earth realistic teen fiction, which is both relatable and accessible.’ Do you encourage a broad church approach at Bath Spa? You learn to write by writing; by thinking about writing, by sharing and talking about writing, and by reading. You need to play, and experiment and take risks. You need to have the rigour and discipline to do this every day, or at least as often as you can. … what re-writing really means: re-visioning, a way of re-seeing your story. You need to commit to it, and write even when you don’t feel like it. You need to be able to listen to constructive feedback, and to understand what re-writing really means: re-visioning, a way of re-seeing your story. The MAWYP provides a structure, deadlines, support and advice so this process can happen. It’s not about us teaching a set of rules, and certainly NOT about one right way of doing things or one kind of story. Our students’ novels are as varied and different and original as they are. What do you think is important to learn/goes into being a writer for children? A writer for young people must have the capacity to see, feel and experience the world from the viewpoint of a child/teenager. They must be able to connect emotionally with their child-self. You can improve technically as a writer, but you need that sense of connection first and foremost. It’s not ‘easier’ to write for young people; if anything, it’s more difficult. There’s no room for self-indulgence of a literary kind, or ego. We are all part of a bigger project: engaging young people with stories. The books we read as children stay with us for ever. How do you balance your work as a writer with being an educator? How do you turn it to your advantage? My teaching has helped me think about and reflect on my writing process and about how best to pass on the skills I’ve acquired the long way round. I read a lot of contemporary children’s fiction. The need to balance my teaching and writing life has made me use time more efficiently. I learn from my writing colleagues, but from students too – our discussions in workshop are exciting and challenging and keep me engaged. We are all part of a bigger project: engaging young people with stories. The books we read as children stay with us for ever. I enjoy all the social contact. I love encouraging the creativity of other people. The downside is that I’m often under pressure from both the writing/publishing and university worlds. I sometimes long for extended periods of quiet immersion in my new novel. But I’m proud of what I’ve written since my first novel (Blue Moon, 2003): seven novels for teenagers, three for younger children plus many short stories and books for the education market. Occasionally, my university has awarded me time for my research - I stayed on a Hebridean island to research This Northern Sky. In your novels there is always a strong sense of the characters connecting with the landscape and a sense of the transformative power of landscape. Can you talk about the importance of place in your work, the sense of wonder? I write about all the things that I consider important: about growing up, friendships, family relationships, love, death, loss, change. Places have always mattered to me, and are increasingly significant in my fiction. I want to share my love of wild places, and my sense that they are vital for our well-being. That’s one of the themes in This Northern Sky: Kate has to learn to love the island, and the experience changes her. Some of the events in the novel are based on incidents that happened to me on my first visit to the Outer Hebrides in my early twenties; I returned to these amazing islands off the west coast of Scotland to write the novel, and learned more about the current threats and challenges to island life, as well as experiencing some of the extremes of the weather. The sound of wind and waves wove their way into everything I wrote and changed the story. I walked and wrote every day I was there. I found out about the proposed huge wind farm (it has since been scrapped, I discovered recently. My characters would be happy about that). I didn’t want to turn the novel into polemic: it’s not as simple as wind farms being good or bad. All these issues are addressed only in as far as they are seen/thought about by my characters. I believe young people do care about and think about the environment. I recently saw a quotation from Thoreau which resonated with me: “In wildness is the preservation of the world”. Thank you Julia for giving us your insights into the course, your thoughts on writing, and telling us about your new book. Best of luck with all your future projects, whichever hat you are wearing! Julia Green lives in Bath. 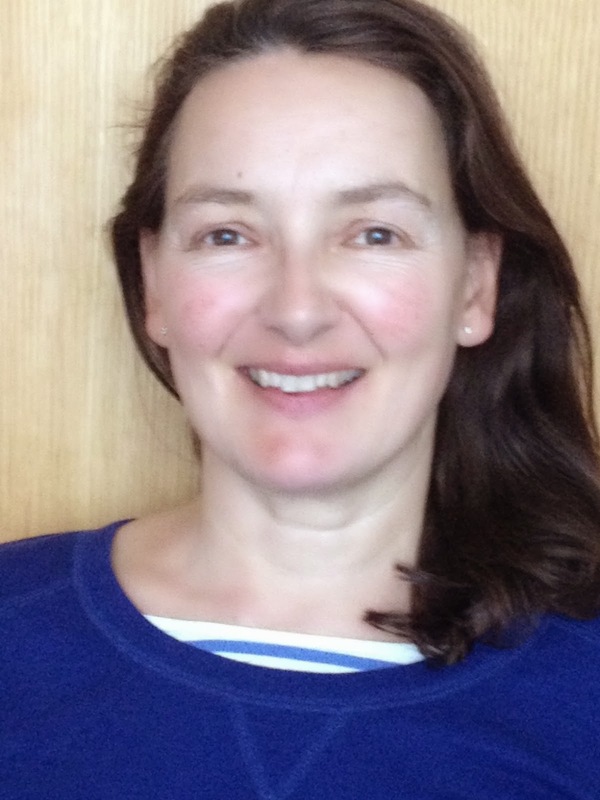 She is a Senior Lecturer in Creative Writing at Bath Spa University, and Course Director for the specialist MA in Writing for Young People. 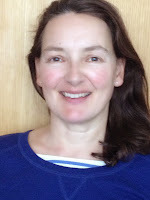 She's written three novels for young adults, published by Puffin (Blue Moon, Baby Blue, Hunter's Heart) and four published by Bloomsbury (Breathing Underwater, Bringing the Summer, Drawing with Light and This Northern Sky) as well as novels and short stories for younger children. Her next novel will be Seal Island (OUP, 2014). Julia will be teaching for the Arvon foundation in May: and for Ty Newydd in Wales, in April (Writing the Wild in Fiction for Young People). Eden Endfield trained as an artist at the Slade, with paintings in the Nat West collection, the National Portrait Gallery and private collections. After the birth of her daughter she rediscovered children’s fiction, and decided to write a children’s story. She is currently editing her first completed novel, a psychological drama for 10+ with gothic elements set on the Jurassic coast, for a London agent. She is writing her second novel, a teen love story set in upstate New York, as part of the MA in Writing for Young People at Bath Spa University. She lives in London with her best supporters and harshest critics – her husband and 14 year old daughter. So much of that sounds familiar - that balance between the academic and the creative. I love that my day job is so involved with writing. Thanks, Julia and Eden, you've really capture the essence of the Bath Spa approach and the constructive, supportive environment that Julia champions and which works so well when applied in other critiquing forums, too. Very insightful interview - thank you Eden and Julia. You're so right about the books we read as children staying with as forever.